Dave Weber | Chemical Solvents, Inc. Facility Manager – Recycling Dept. Dave Weber is the Facility Manager of the recycling plant. 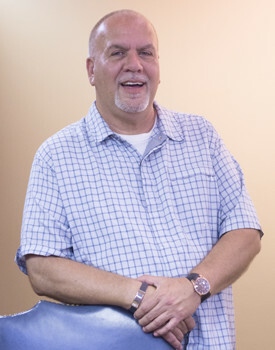 An employee of CSI since 1983, his responsibilities include day-to-day operations of the plant, and sales support to the CSI sales department. In addition, Dave is involved in the outside broker operations of Waste Disposal. Dave started at CSI on the shipping dock and has watched CSI grow into the large operation it is today. Dave’s favorite past times are golfing and traveling.